Japan's most vibrant music scene exists down in Okinawa, the sub-tropical islands that lie in the middle of the East China Sea. Although part of Japan, Okinawa's exotic and colourful music is a unique mixture of sounds and rhythms brought to the islands by its Asian neighbours down the centuries. Only here is music still a part of everyday life, where all people sing and dance purely for the fun of it. Takashi Hirayasu is one of Okinawa's most successful artists, and one of many pioneering artists who are helping to bring these fresh and exciting sounds to the world at large. Hirayasu started out by playing blues, R&B and rock at bars and clubs surrounding the American military bases on Okinawa Island. He discovered an interest in Okinawan shima-uta (island songs) in his early 20s, and started to play the sanshin, the Okinawan three-stringed snakeskin banjo. He went on to join Shoukichi Kina and his family-based group Champloose as guitarist and arranger. They were the first musicians to mix traditional Okinawan sounds with rock on their first album in 1977, and were later joined by Ry Cooder on the 1980 album Bloodline. As a member of Kina's band, Hirayasu provided the dynamic rock element that defined the sound of Shokichi Kina and Champloose at their prime, and helped to turn the group into a legend. Hirayasu's pioneering work, combining shima-uta (the local music of Okinawa) and rock. During the 1990s Hirayasu began to concentrate on his solo career and released his first solo album, Kariyusu No Tsuki, which brought together all the musical elements of his life in Okinawa. The result was album with an eclectic assortment of styles and sounds, honed together by an accessible and fresh production. The recording sessions for Jin Jin, on Taketomi, the smallest of the Okinawan islands, marked the beginning of a fruitful relationship between Hirayasu and Hawaiian slide guitar genius Bob Brozman. Since the release and acclaimed reaction to Jin Jin, they have subsequently toured in Japan, Europe, North America and played at the WOMAD festival in the UK. Wherever they perform, the fun, spontaneity and pure joy they clearly derive from each other communicates to the audience. They both exude an aura of sensitivity, dynamism and charisma, mixed with a refreshing humbleness. So rewarding was this first collaboration that Takashi and Brozman have recorded together again, to produce their second album Nankuru Naisa. Recorded this time in Brozman's Santa Cruz house, they wisely decided that rather than trying to recreate the moment of the first recording session in Okinawa, they would produce a new and different magic and was released in Spring 2001. 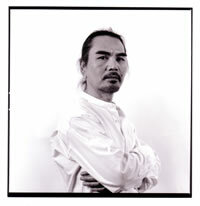 Takashi Hirayasu has toured with Bob Brozman in the UK , Europe, South Africa, USA, Singapore, Australia and New Zealand. In Japan he struck up a formidable partnership with guitarist Ken Ohtake, the two making their overseas debut in Taiwan in 2003. Takashi is available as a solo performer or in various combinations in a duo, trio or band. He is an extremely versatile and open musician with much experience of playing with musicians from countries around the world and is therefore an ideal candidate for collaborative projects. Whatever or wherever he plays, Takashi's stage charisma is always infectious. Also available with Bob Brozman subject to availability. Time periods, samples and line-ups available upon request. CDs released by Riverboat/World Music Network.